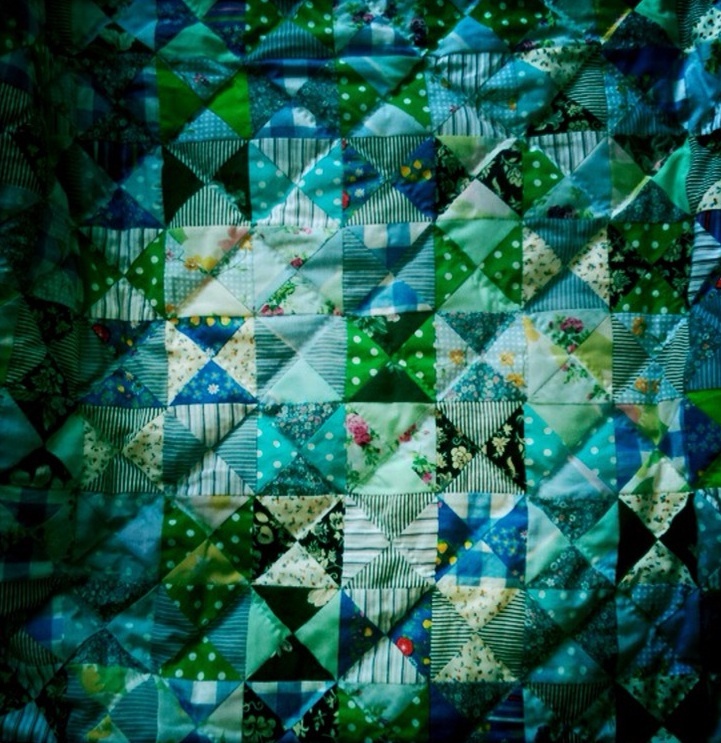 I have found and been given some very gorgeous images of the quilts in their new homes. I really wanted to share them with you because it is so nice to see them being really loved! 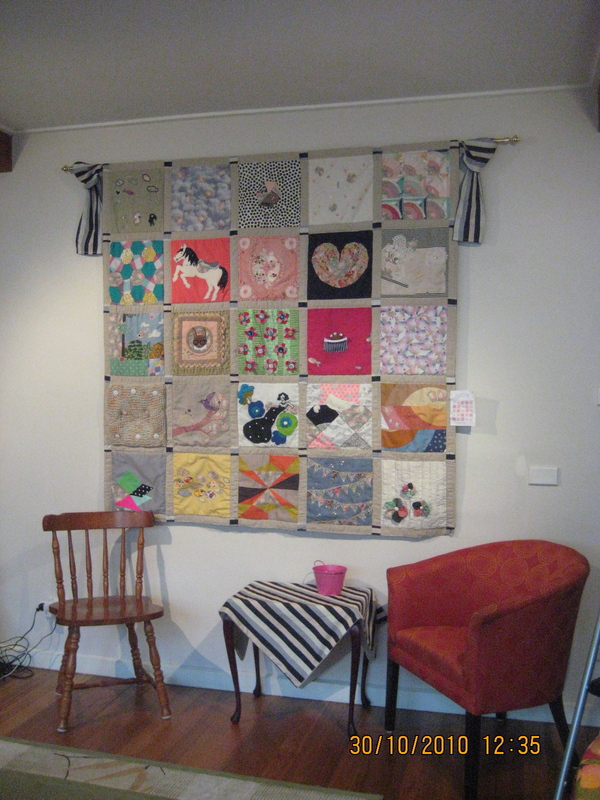 Linda sent me this photo above of The Crafty Ladies & Gents Quilt which she has very beautifully hung up on her wall in her lounge room. Linda cleverly used the tie from the package to create a hanging device including lovely little decorative edges. I have seen this first hand and it looks so gorgeous up there, Linda has even turned some of the ceiling lights towards it! 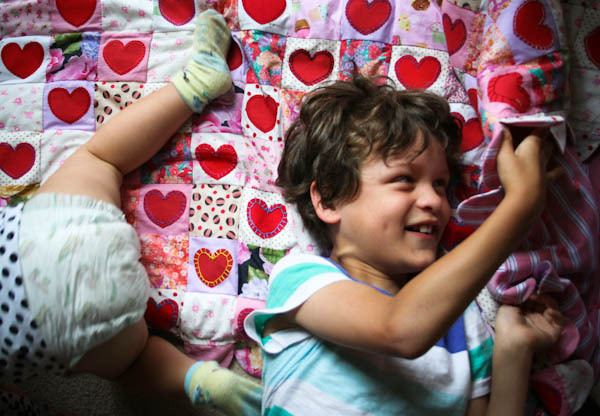 What a lucky quilt! Pene Durston of Cottage Industry won The Triangle Quilt and coincidentally was attending a meeting at Craft Victoria at the very moment her name was pulled out of the draw. She came out of the meeting to be told that she would also be taking a quilt home with her. 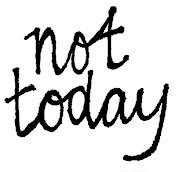 She posted a little blog about her winnings over here. I am so glad Madeline Sargent of Made by Mosey won The Heart Quilt! Firstly because she is such a lovely and kind person, but also because it looks like Madeline and her two little ones really love it! I found this very cute photo among a few others on her blog, go see them over here. I met up with Madeline at the Craft Hatch market last month to hand over her new quilt and was very excited to meet both her and her work in person! Both so gorgeous!